New Symfony lens - for drivers and sailors ALIKE. The eye is like a two-lens camera. The cornea is the front lens and immobile and the lens is the deeper lens and enables focusing. Laser surgery of the cornea is performed mainly for young people. Many discussions about laser surgery have appeared in the media. But we can also help those over 50 years of age to get rid of glasses with eye surgery. Many have heard of cataract surgery. This is for a reason: about 15 thousand of these eye surgeries are performed per year in Estonia. However, the ability to have surgery for getting rid of glasses with eye lens replacement with an artificial lens is news for many. During cataract surgery, the ophthalmologist removes the diseased lens of the eye and implants a soft plastic artificial lens. The history of artificial lenses extends, in fact, to more than half a century back - the first artificial lens due to cataract was implanted as early as in 1949. 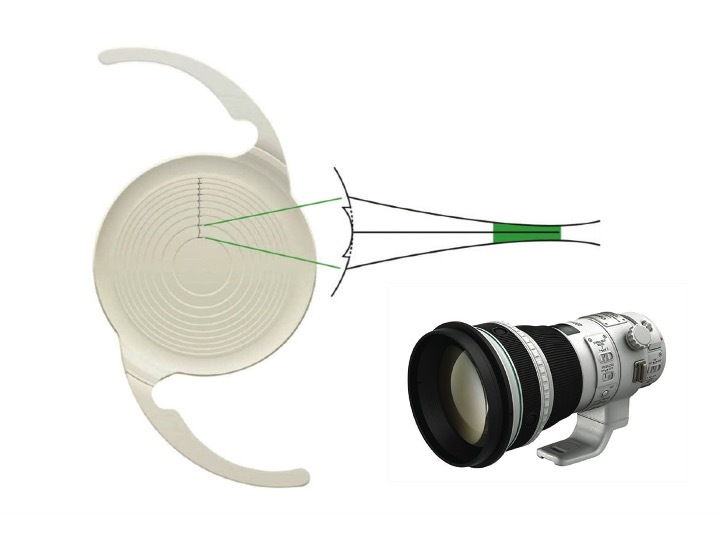 Originally, the goal was to just replace the old lens with a transparent lens, but the manufacturing and technical determination of the right optical strength of optical lenses also offered the ability to adjust optical disorders. Therefore, transparent lenses began being removed for the purposes of getting rid of glasses. During regular cataract surgery a monofocal lens is implanted in the eye that enables only seeing to one certain distance; a multifocal lens, on the other hand, enables the correction of most optical disorders and the achievement of good far and near vision. However, the proportion of use of multifocal lenses has so far been relatively modest. In Estonia one important reason is certainly the price of premium artificial lenses; in the USA, multifocal lenses account only for 7% of all implanted eye lenses so far. One cause for low popularity of multifocal lenses is due to the decreased contrast sensitivity that resulted from the division of light between different focuses, which caused a decline in visual acuity in low light, such as foggy weather or twilight. 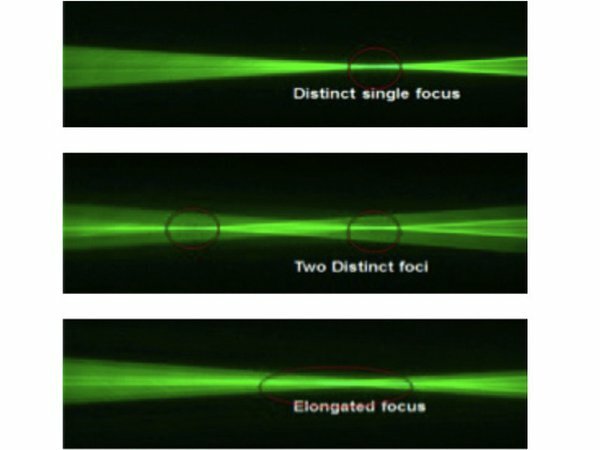 The new Symfony lens, manufactured by AMO, entered the market last summer and can significantly change the use of artificial lenses. Namely, studies have argued that this lens enables the achievement of contrast sensitivity similarly to a monofocal lens. The Symfony lens has optically magnified depth perception, and like modern professional cameras, uses diffractive optics. This means that for seeing to various distances the light energy is not shared between the different focuses, but the focus is extended to a greater distance. In order to see very well to various distances, the Symfony long-stretch focus should extend to 3 dioptres; unfortunately, it is limited with the current technologies to about 2 dioptres, which gives an excellent far and medium vision and allows for reading the newspaper, but very small text, however, cannot be read. To see well close without glasses, another lens is chosen for the other eye that allows for seeing very well at a medium and close distance. In ReFocus Eye Clinic we have given over one hundred patients new Symfony contact lens implants. Our experience is positive. We certainly recommend Symfony lenses for people wishing to get rid of glasses who often drive in the dark or go sailing. But for people who do fine handicrafts as a hobby, we still consider trifocal lenses such as Zeiss AT LISA the best choice.